SANTIAGO, July 25 (Reuters) – Chilean lithium miner SQM on Wednesday night announced the resignation of its chief executive Patricio de Solminihac. SQM said in a emailed statement that Solminihac, 63, who has been at the helm of one of the world's top lithium producers for three years and with the company for 30 years, was leaving "for personal reasons" on Dec. 31 this year. He will be replaced by Ricardo Ramos Rodríguez, the current vice president of corporate services and the company's chief financial officer. Solminihac formed part of a management team that saw SQM's assets grow to $4.3 bln from $152 mln, said Alberto Salas, the company's president. "Patricio has been part of a an executive team and board that generated significant value for shareholders, workers, communities and the country," he added. "We regret his resignation and we appreciate his dedication and commitment over the years." Last week SQM began the process of seeking government approval for a $450 million expansion of its lithium carbonate plant in Chile's northern Salar de Atacama, which could more than double its production as demand rises for the key element in the manufacturing of batteries for cell phones and electric cars. Solminihac also sought to diversify the company's lithium sources with the Cauchari-Olaroz project in Argentina and the Mt. Holland lithium project in Australia. 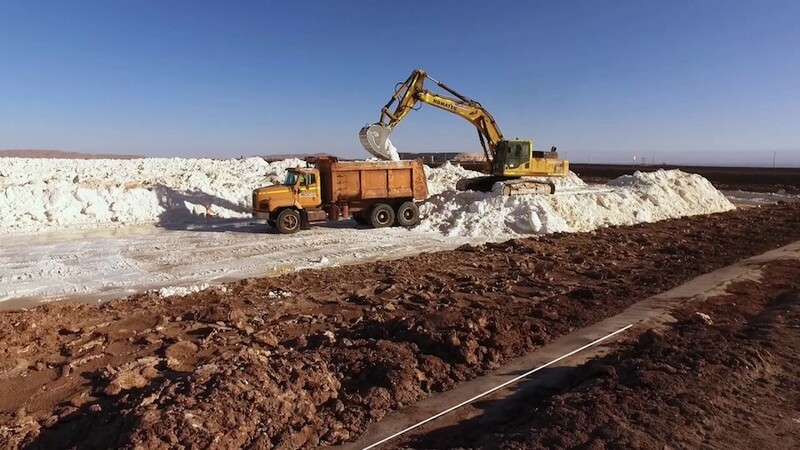 The purchase by Chinese miner Tianqi Lithium Corp's in May of a 24 percent stake in SQM is at present being studied by Chile's antitrust regulator FNE. Solminihac's resignation was announced on the same day as the resignation of SQM's chief rival Albermarle's executive overseeing lithium mining in Chile. U.S. firm Albemarle Corp said John Mitchell would leave at the end of the month, according to an internal memo reviewed by Reuters. Privately held clean energy investor Genlith Inc said later on Wednesday that it had hired Mitchell to run its Chilean cobalt subsidiary.